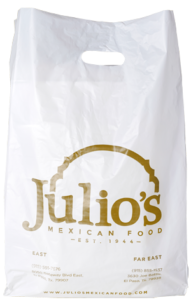 Take the traditional Mexican flavor to your celebrations and events. We offer different catering options to accommodate your needs. Let us cater your next event. We can serve groups from 30 to 1000 guests. Our locations offer private rooms for your special event. Call ahead to check availability. Come over or we can go. We love weddings, baptisms, baby and bridal showers, graduations, etc. Break the ice on that important meeting, get a catering package or order from the menu. Don’t have time to sit down? No problem. Order over the phone, we will have it ready for you. Our food if made to order so you can enjoy it at your home or at your office.